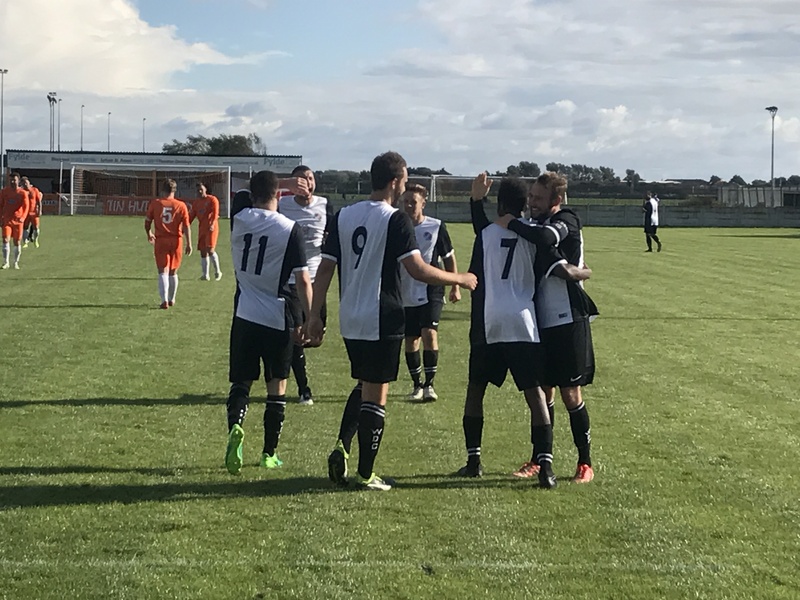 West cruised into the second qualifying round of the Buildbase FA Vase with a comfortable 6-1 win away to AFC Blackpool; their biggest ever away FA Vase win. West made several changes as Scott Mason returned to make his first appearance of the season in a back four that also included Michael Simcock. Following his excellent performance off the bench at Irlam, Daryl Weston started in place of Gary Lilley in front of the back four. West started brightly and were unlucky not have been awarded a penalty on four minutes when Carlos Mendes Gomes was tripped from behind through on goal. However a minute later they earned the lead when Tom Bailey forced a save from Blackpool goalkeeper Callum Kirkland after a Matty Kay through ball with Nic Evangelinos on hand to fire home the rebound. The same move almost produced a second on eight minutes as Kay’s ball down the right found Bailey and again the Blackpool keeper made a good save from a tight angle. Bailey made no mistake on 14 minutes when an errant Blackpool header fell perfectly into his path and he volleyed home from 10 yards out. West went in search of a third and it almost came from captain-for-the-day Matty Kay’s corner as twice Kirkland was forced to punch away his corners which threatened to go directly in. Kay went close a third time on 21 minutes when he volleyed just over following Bailey’s knock down. Blackpool refused to give up however and came close on 25 minutes when a thunderous effort cannoned off the foot of the post and bounced out. It was a warning sign from the hosts who’d already curled over a dangerous free kick in the opening stages. West continued to create chances aplenty as Carlos Mendes Gomes, Weston and Harry Hagon all went close without testing the goalkeeper. However it was the Mechanics who pulled one back in first half stoppage time when Ben Fishwick drilled a rocket into the side netting of the right hand post from 30 yards out to give the home side a glimmer of hope. The goal awoke West in the second half as first Kay fired an effort over from the edge of the area after a lovely move through midfield. Tom Bailey came close again on 56 minutes when he was denied by a brace block on the line from the Blackpool captain. The Blackpool defence was powerless to stop Bailey adding his third on 67 minutes when Mendes Gomes burst down the left before squaring to Tom Bailey to give him a simple tap in. West rang the changes as Ben Steer and Saul Henderson replaced Mendes Gomes and Evangelinos. Steer got into the action straight away as his cross from the right found Bailey and the West number 9 volleyed just over on 70 minutes. Three minutes later it was Henderson’s turn as his diving header just evaded Steer’s low cross. Bailey was again denied by an excellent save from Kirkland down to his left after a perfect through ball from Kay. At the other end Aaron Ashley added to his highlight reel of spectacular saves on 77 minutes. Blackpool saw another sweetly struck effort bounce off the underside of the cross bar but with an open goal in front of the Blackpool striker from 6 yards out, somehow Ashley managed to push away the rebound with a full stretch diving save. Seconds later West made it four as Saul Henderson headed home at the near post from Steer’s throw in. The pick of the goals followed on 84 minutes when Kay beat the keeper with a sublime chip from 18 yards out and celebrated with the delirious travelling support. 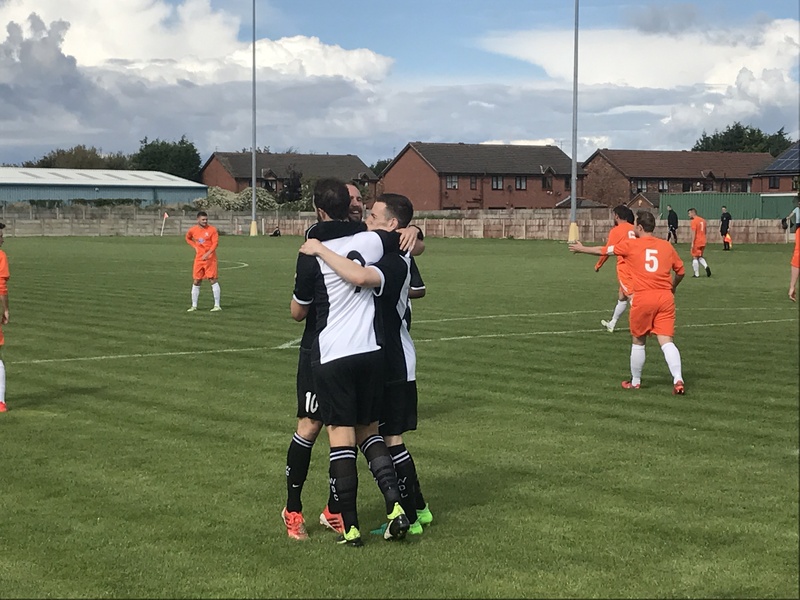 Bailey had the final say though as he reached double figures for the season latching onto a through ball and firing in his hat-trick with the final kick of the game to give West an emphatic 6-1 scoreline.